Lush landscaping and swaying oaks fill Shipyard Plantation on the South end of Hilton Head Island. With the majority of the plantation made up of private multi-dwelling homes, and ideal for rental property as well. Residents and guests receive full beach access through the community’s beach club next to the Sonesta Resort. Shipyard is one of the island’s smaller neighborhoods containing less than 2,000 residential properties, but the peaceful scenery creates a healthy and harmonious living environment. 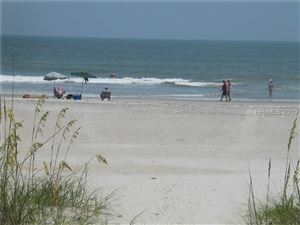 Activities available include sunning on Shipyard’s beachfront, 12 miles of biking and jogging trails, golf, and tennis. Shipyard Plantation’s golf club is home to three public-access 9-hole courses, all with a recent switch to Bermuda grass. Known as one of the best racquet clubs in the country, the Van der Meer Racquet Club boasts 14 clay and six hard-floored courts for a total of 20 championship courts. One is in a stadium and three others are indoors. Dennis Van der Meer, the club’s namesake, bought and renovated the property almost 20 years after Billie Jean King worked as Shipyard’s touring pro.